Innovate UK drives productivity and growth by supporting businesses to realise the potential of new technologies, develop ideas and make them a commercial success. The Infrastructure Systems is a competition run by Innovate UK and co-funded with Research Councils and Government Departments to help UK businesses to grow and accelerate commercialisation of their world-class infrastructure research & innovation. Twenty-five projects from Infrastructure Systems are being showcased at Rushlight Show 2019. 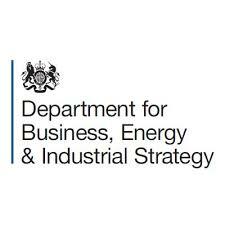 The Department for Business, Energy, and Industrial Strategy (BEIS) brings together responsibilities for business, industrial strategy, science, innovation, energy, and climate change. The Chancellor has recently committed a substantial real terms increase in government investment in research and innovation, worth £2 billion per year by 2020-21 to support research and innovation across the UK. In the energy sector, government has also committed to increase the UK’s innovation spend, such that by 2021 it will have doubled to over £400m per year. This includes support for initiatives like the Energy Entrepreneurs Fund, which was recently re-launched with a further £9m to support disruptive low carbon SMEs. 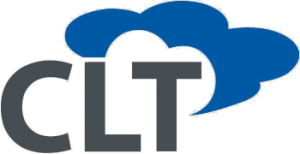 Carbon Limiting Technologies (CLT) works with early stage companies, corporates, investors, and government organisations to support and grow cleantech businesses in the UK and Internationally. Over the past 10 years, our multi-disciplinary consultancy team has worked with over 250 low carbon innovators helping them commercialise their technology: we advise on product development, business planning and market engagement studies, building strategic business and industrial partnerships to accelerate business growth, and importantly advise on funding and investment. We also manage grant-funded programmes for public sector clients, including the UK Department of Business, Energy & Industrial Strategy. Venner Shipley is a leading full service intellectual property firm covering all aspects of patents, trade marks, designs, dispute resolution and other intellectual property-related legal services. With offices in London, Cambridge, Guildford, Manchester and Munich, we are a modern forward-thinking firm representing a wide variety of clients including major domestic and international corporations, SMEs, high growth start-ups, universities and research institutions as well as individual inventors at the forefront of technology and innovation. This means that our experts deal with a hugely diverse and constantly evolving range of intellectual property issues with specialist teams in electronics, engineering, chemistry, pharmaceuticals as well as biotech. We are Granted Consultancy, UK and EU grant funding specialists. We work with ambitious businesses and entrepreneurs seeking funding for their company or ideas. We have expertise in securing funding for Innovation (R&D), Business Growth, Training and Infrastructure Projects. Our sectorial experience spans Tech, Digital, Creative, Advanced Manufacturing & Engineering, Education, Construction, Knowledge Transfer and Energy. Since 2010 we have secured grant funding from £10k to £2m+ for R&D projects, business growth investments and major public sector projects. We have offices in Fleet St, London and Southernhay, Exeter. If you’ve got an exciting, ambitious project, we’d love to see you achieve it – even better, we’d like to help you. Flanders Investment and Trade is a government development agency at the Belgian Embassy in London. We provide confidential expert advice on doing business on the European continent. Our services are tailored to your business needs and are free of charge. We can help you find the right location and get you in touch with suitable specialists or partners. Flanders Investment and Trade will guide you through our tax incentives and available grants to maximise opportunity. Feel free to contact us on flandersinvestmentandtrade@flanders.co.uk or +44 (0)207 307 77 10 regarding any query on doing business in Europe. policy on a pan-European scale, no other PR firm has the same experience, knowledge or passion. Everoze is an employee-owned renewables, energy storage and flexibility consultancy. Our unique strength is bridging the gap between the technical and the commercial. We’re a team of 40 consultants who are flexible, experienced and interdisciplinary. We’re spread across Europe and active in energy markets throughout the world. Project Support: Applying experienced eyes to improve asset performance and add value to project development. We are a trusted adviser to some of the biggest brands in the sector. Prova is the UK’s leading environment, energy and clean technology communications consultancy. We’re known worldwide for creating extremely powerful marketing campaigns that deliver commercial advantage and drive business growth. Whether building brand reputation, supporting new market entry or debating.